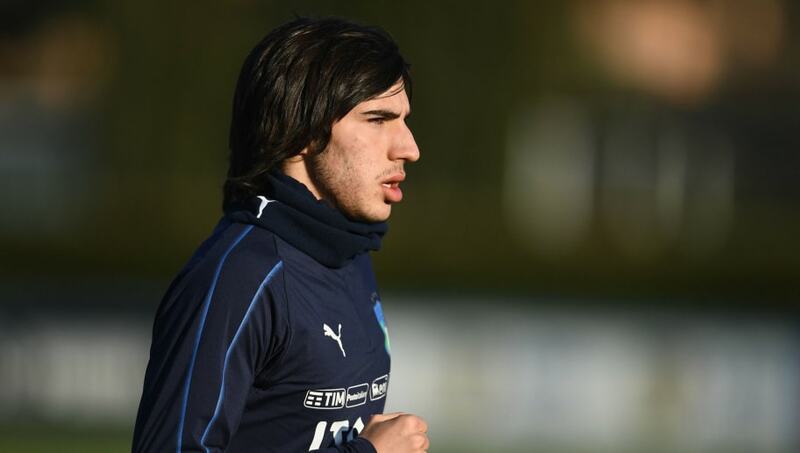 Brescia are set to demand around €50m for their teenage sensation Sandro Tonali this summer, should the club achieve promotion to Serie A this season. The 18-year-old has attracted the attention of several elite sides in recent months, after excelling in the Italian second tier for one and a half seasons. Despite his tender years, the midfielder has shown phenomenal ability to dictate the pace of the game - an invaluable skill that has seen him inevitably compared to Italy legend Andrea Pirlo. According to CalcioMercato (via Inside Futbol), Brescia owner Massimo Cellino will look to use I Rondinelle's likely promotion to jack up the price of Tonali, and will stack a further €15m onto the €35m asking price he previously quoted Roma. Certainly, it would be a big gamble for any potential suitor, given the player's distinct lack of top level experience. Chelsea manager Maurizio Sarri has made no secret of his desire to sign a new midfielder, having sold Cesc Fàbregas - his only backup option for Jorginho - in January. Tonali could prove a fine understudy for his fellow countryman, but his signing would, perhaps to the chagrin of Blues fans, restrict Ethan Ampadu's burgeoning development in that position. ​​Liverpoo​l, who are locked in an intense title race with Manchester City, have a host of central midfielders on their books. However, with James Milner approaching the end of his career, Jürgen Klopp could do with another expert passer of the ball in the squad. Given the Reds' big-spending of late, they're also unlikely to baulk as Brescia's lofty demands. In other news, the Reds have been handed a ​triple fitness boost ahead of their Premier League clash against Bournemouth on Saturday. Jordan Henderson, Georginio Wijnaldum and Trent Alexander-Arnold all took part in training on Thursday afternoon, which will be a big relief to Klopp given the litany of injuries that have ravaged his side of late.